The tour begins via the scenic middle Corniche to reach the spectacularly situated medieval village of Eze, perched dizzily over the sea. In its old streets are now smart boutiques and artists' studios. At every turn there are flowers, shrubs, fountains and breathtaking views of the sea and mountains. The tiny Principality of Monaco, which is less than one square mile in size, consists of the old town of Monaco which is linked by La Condamine to the newer town of Monte-Carlo, site of the famous Casino. You will be given a walking visit of Monaco which will include a stop for a picture outside the Palace of the Grimaldi and an inside visit of the Cathedral where you will see the grave of Princess Grace. 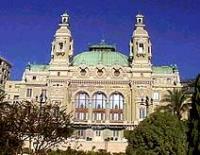 While in Monte-Carlo, you can try your luck at the Casino. (Neither jeans nor tennis shoes are allowed to be worn inside the casino. Also, passport or ID card with photo is required to enter the casino).